Music touches us emotionally. It can do this in isolation but more often it is linked to another human experience. Music in film is an obvious place to see this, but even in pop, music works in conjunction with other emotional stimuli – often cultural and social. So it shouldn’t be a surprise that the Military Wives are number 2 in the album chart. We contributed strings for 3 of the tracks. 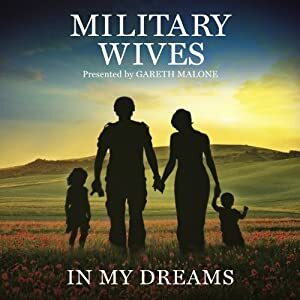 There may be critics who will dismiss the content of In My Dreams as trite, but don’t dismiss the response of thousands of people who have bought this music and have made an emotional connection with it, and with what the singers represent. Here is an excerpt from With Or Without You. Produced by Jon Cohen, released by Decca. A couple of my loops libraries from Loopmasters are organised as construction kits, so a while back I asked my friend, Flash genius and God of all things nerdy, Chris Savage, to create a web-based loops sequencer, to showcase some loops and let users layer them up and see how the building blocks worked. It’s been 6 months in the making and finally here is version 1 of the Realstrings Online Loops Sequencer. 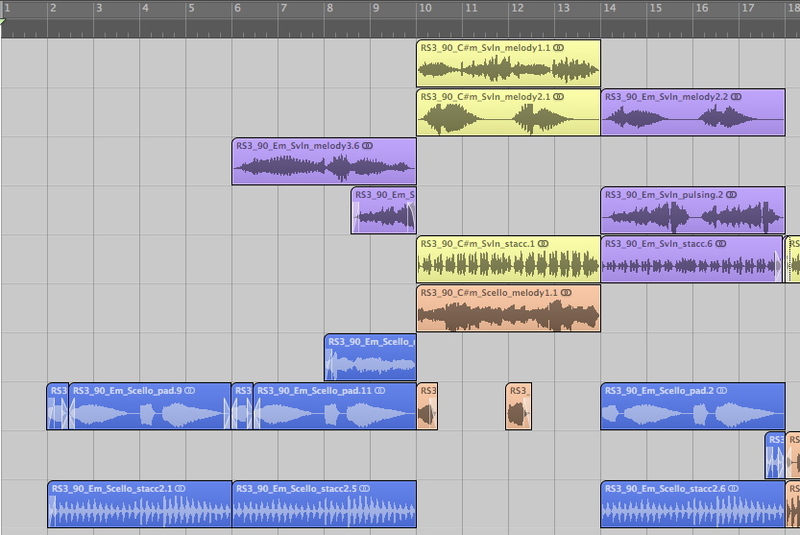 Audition loops from the selection down the right, drag and drop onto the tracks to layer up and sequence. I’ll be commissioning updates for Version 2 in the next couple of weeks based on user feedback, so I welcome any suggestions! How far can we take a sequencer within a browser? Click on the image to launch in a new window. My last 2 loops libraries with Loopmasters have been construction kits. Mike Skinner of The Streets snapped up this concept with the last release from the band before he moved on, as featured on The Guardian website last year, which is constructed almost entirely with strings from Realstrings Volume 2. In designing loops libraries, I (naturally) try to make them usable in as many musical situations as possible; one usage I envisage is for video and film editors. Many will be making full use of loops and sequencing tech so it is a natural progression to supply building blocks in loops packs. Indeed, many composers work in this way, creating musical elements than can interact and overlay. Here is a track constructed entirely from one set of loops in Realstrings Volume 3, using the solo loops rather than the more common ensemble loops, and it shows how the pack can quickly be used to create a music bed with all the emotional content of string writing, and the flesh and blood of real instruments.